The phenomenally complicated programme of cellular ‘death’, otherwise known as apoptosis, is the chief source of occupation for tens of thousands of scientific researchers. 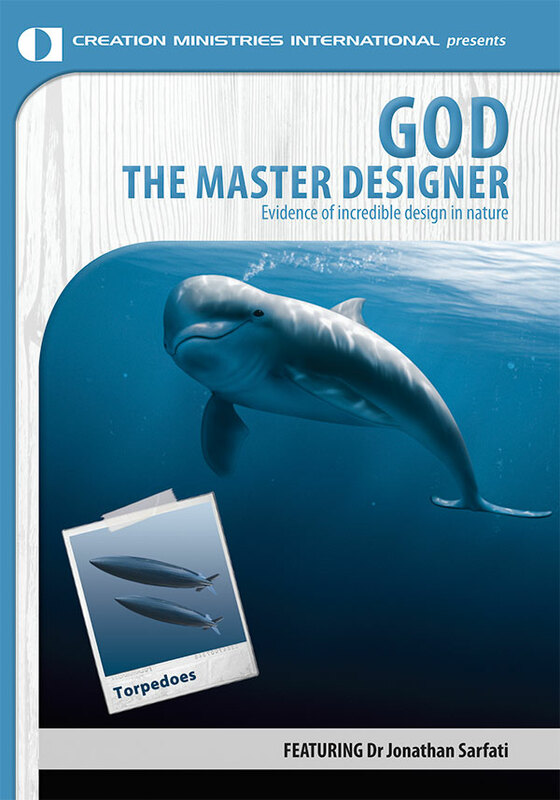 The believer in biblical creation happily ascribes praise to the omniscient Creator for the incredible designed complexity that is apparent. Conversely, the person who subscribes to methodological naturalism faces the significant challenge of accounting for the origin and evolution of apoptosis. The oft-claimed conservation of various apoptotic components, from the very ‘earliest’ life-forms, does not suffice as an explanation. ‘Apoptosis-style’ demise is now recognised in unicellular eukaryotes and even bacteria and, in recent years, a handful of evolutionists have published hypotheses in the scientific literature in which they have attempted to explain the simultaneous evolution of apoptosis and endosymbiosis. The latter, itself is an unproven hypothesis for the origin of the first unicellular eukaryotic cells, including the origin of mitochondria. An examination of these evolutionary ideas, for a naturalistic origin of apoptosis, forms the main focus of this paper. * Items with an asterisk, the first time they are mentioned, are defined in a glossary at the end of the article. Figure 1. Diagrammatic representation of the hypothesised events during endosymbiosis. The schematic illustrates the two fundamental events that are envisaged to have contributed to the first eukaryotes. The phagosome (invaginated engulfing membrane) becomes the outer membrane of the endosymbiont. Theorists differ on the order of events; i.e. whether a well-developed nucleus evolved prior to the acquisition of mitochondria (1) and chloroplasts (2) or whether mitochondria predated chloroplasts in serial endosymbiotic episodes. Apoptosis* or ‘programmed cell death’ is a ubiquitous cellular phenomenon in living organisms. 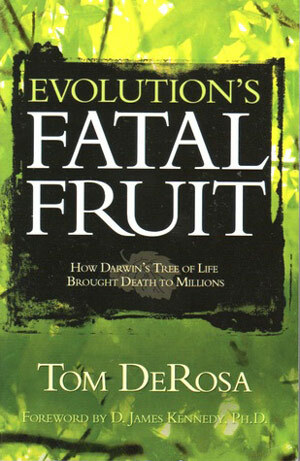 An earlier paper described this process in detail, contrasted it with necrotic cell death and provided a framework in which to understand cell ‘death’ from a young-earth creationist perspective.1,2 Readers are advised to familiarise themselves with that paper in order to better appreciate the arguments presented here. Some scientists have recently questioned the distinction between apoptosis and necrosis—since this relates to the author’s previous arguments, an appendix includes further discussion. Apoptotic phenomena have been described in several unicellular eukaryotes*. The alleged evolutionary conservation of apoptosis, from the ‘earliest’ eukaryotic cells, would therefore appear to be problematic on theoretical grounds. Not only must evolutionists explain how apoptosis evolved before the ‘invention’ of multicellularity, but they are faced with explaining how single cells—that have acquired a functional apoptotic response—pass on this more advantageous, advanced genetic complement to their progeny? In what follows, some evolutionist attempts to grapple with apoptotic origins are reviewed. A major component of these ideas is the hypothesis of endosymbiosis*. Fitness in evolutionary terms is measured by an organism’s survival chances. But, in the case of this unicell, the true test of its apoptotic mechanism is its demise rather than its survival. One idea is that ‘ancient viral infections’ transferred key elements of apoptotic pathways to the nuclear DNA of such ‘early’ cells17 but it is difficult—if not impossible—to conceptualize the step-wise production of highly complex apoptotic cascades in single cells. Nevertheless, let us imagine that a miraculous combination of the precise information-adding mutations occurred that specified for a complex, fully functioning apoptotic mechanism in a unicellular eukaryote; i.e. hopeful-monster-style! Fitness in evolutionary terms is measured by an organism’s survival chances. But, in the case of this unicell, the true test of its apoptotic mechanism is its demise rather than its survival. It is difficult to imagine how natural selection could select ‘good’ apoptotic genes for their survival value. Therefore, an evolutionary scenario purporting to account for either the origin of apoptosis or its improvement by natural selection has conceptual difficulties, placing the onus on evolutionists to provide a convincing rationale for these things. The existence of various apoptotic signatures in the developmental processes of several species of extant bacteria has been reported,20,21 involving gene activation and the interaction of various signal transducers and their regulators. In other words, what has been traditionally termed bacterial autolysis—self-digestion of the cell wall by peptidoglycan hydrolase enzymes, resulting in the cell’s disintegration—may represent apoptosis. Programmed death in bacteria also appears to occur in the presence of damaging agents such as antibiotics,22,23 with some interesting implications for certain types of antibiotic resistance.24 However, fascinating though the findings of these all research efforts may be, accounting for the evolutionary origin of apoptotic mechanisms in ‘early’ bacteria is quite another matter. Figure 2. Kroemer’s ‘Highly speculative model’ for the endosymbiotic evolution of mitochondrial permeability transition (adapted and redrawn from figure 5 of the author’s paper; see ref. 6). (A) The hypothetical moment of accommodation of the aerobic bacterial endosymbiont (possessing both an inner and outer membrane) into the host cell. Bacterial molecules such as perforins translocate to the host cell phagosome, allowing diffusion of small molecules such as ATP. Precursors of ANT (adenine nucleotide translocator), PBR (peripheral benzodiazepine receptor) and cyclophilin D are also envisaged to be present, though not in their contemporary locations. (B) Later in evolution, a true PT pore complex arises (enclosed by the dashed box). The PT-dependent release of molecules such as cytochrome c and protease enzymes may then cause apoptosis. A handful of evolutionists, pondering unicellular apoptosis, have speculated that endosymbiosis (the hypothesis for the origin of mitochondria* and chloroplasts in eukaryotic cells) and apoptosis evolved simultaneously. Endosymbiosis theory was first popularised by Lynn Margulis in the mid 1970s25 and, with modifications, is now almost universally accepted by evolutionists. Cellular organisation of eukaryotes is so much more complex than that of prokaryotes—including membrane-bound nucleus, mitochondria, chloroplasts, Golgi body, endoplasmic reticulum, ‘9 2’ flagellum/cilium arrangement, cytoskeleton, diploid stage in life cycle, mitotic and meiotic cell division—that their alleged evolutionary origin is a fundamental question in biology. Of course, from a creationist perspective, each basic kind of prokaryotic and eukaryotic organism (unicellular and multicellular) is the special creation of God and no continuum between these fundamentally different cellular organisations is expected. However, evolutionary theory must account for eukaryotic origins. The basic idea of endosymbiosis is that aerobic, autotrophic bacteria took up residence inside larger prokaryotes and became the forerunners of mitochondria. Likewise, chloroplasts are said to be descended from photosynthesising prokaryotes (e.g. cyanobacteria) that were engulfed by larger prokaryotes (figure 1). In spite of these problems with endosymbiosis, many evolutionists will undoubtedly continue to contend for a simultaneous origin of endosymbiosis and apoptosis. Ideas of a ‘coupled’ endosymbiosis/apoptosis origin will now be examined in some detail to see how they stand up to close scrutiny. It should act like a switch (on/off) so that cells either ‘die’ or survive. Kroemer convincingly argues that the mitochondrial permeability transition step (hereafter MPT) fulfils these criteria. MPT* involves the movement of solutes across the inner mitochondrial membrane, disrupting the potential of the trans-membrane proton pump and resulting in the efflux of soluble proteins from the matrix and inter-membrane space of the mitochondrion to the cytoplasm.32 This occurs via permeability transition (PT) pores (or ‘mitochondrial megachannels’).33,34 Evidence that MPT constitutes the apoptosis executioner step includes the following: many triggering pathways do converge on MPT;35 MPT is manifest by disparate cellular effects (nuclear apoptotic changes, production of ROS—which themselves can trigger MPT, altering cellular redox potentials—and oxidation of membrane lipids); molecular components of the PT pore and MPT events are ubiquitous.36 The caspases (ICE/proteases) have been previously mentioned as ‘executioners’ as well as their activation by mitochondria;37 ongoing research is helping to clarify the role of protease cascades and MPT at this crucial juncture of apoptosis. Providing a possible evolutionary scenario does not equate to proof for the origin and alleged conservation of apoptosis. One can equally choose to regard the ubiquity of apoptotic machinery in living cells as testimony to a common design plan. Refreshingly, Kroemer admits that he takes as a given the ‘widely accepted’ endosymbiosis hypothesis.25 He states that this is one of his ‘premises’ and describes his subsequent hypothesis as ‘speculation’.43 Additionally, because of his evolutionary world-view, the existence of apoptotic phenomena in unicellular eukaryotes as well as all metazoa (animal, plant and fungal cells) constrains him to believe that apoptosis evolved before multicellular life appeared44 —indeed he plumps for its simultaneous origin with endosymbiosis (discussed below). From this alone, we see that no matter how plausible his ideas might seem, they are not the inescapable conclusion of data from operational science. In other words, providing a possible evolutionary scenario does not equate to proof for the origin and alleged conservation of apoptosis. One can equally choose to regard the ubiquity of apoptotic machinery in living cells as testimony to a common design plan. However, although certain mitochondrial cell-death events in eukaryotic cells seem to have some parallels in bacteria, it has been reported elsewhere that the specifics of MPT-mediated mitochondrial destruction are not thought to be related to autolysis of bacterial cells.21 Furthermore, the characteristic nuclear apoptotic events of multi-cellular eukaryotes are absent from unicellular eukaryotes like yeast. Needless to say, many evolutionists interpret this to mean that mitochondrial apoptotic phenomena are ancient and phylogenetically conserved, whereas the nuclear events are a later innovation. Of course, implicit within this statement is the admission that the ‘basic mechanism of apoptosis’ is irreducibly complex. However, if one considers the extraordinary complexity of apoptosis,1,2 this statement is seen to be a tremendous leap of faith, little short of belief in miracles. Kroemer goes on to detail his “Highly speculative model for the molecular evolution of mitochondrial permeability transition (PT)”47 which is summarised as follows: The aerobic bacterium (precursor of the ‘protomitochondrion’) that invaded or was ingested by the potential host cell (itself a bacterium) is envisaged to possess toxins, which may or may not have been host-specific. In order to avoid releasing these harmful chemicals into the host cytoplasm (thereby killing the host cell) the host’s bactericidal enzymes (precursors of apoptotic proteases) had to be sequestered in sub-cellular organelles (e.g. a lysosome; though how this evolved is not explained)48 or else maintained as inactive precursors. Thus, a sort of stand-off was established, where any attempt by the protomitochondrion to kill the host, or vice versa, was inhibited—obligating both parties to accept a symbiotic relationship. Yet evolutionists must similarly suspend disbelief each time they indulge in these origin scenarios. The significant possibility of ‘host cell’ rejection of foreign proteins and nucleic acid is envisaged by Kroemer to be the very facilitator for simultaneously establishing both apoptosis and endosymbiosis! 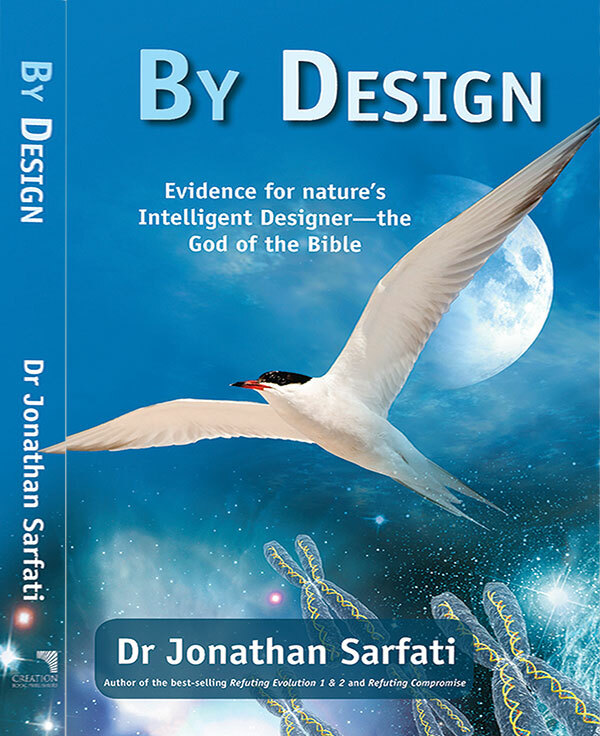 But, one does not need to be an expert biochemist or cell biologist to realise that this is a case of story-telling; another example of turning contrary evidence into evidence for evolution, revealing a considerable faith in veritable biochemical and cellular miracles. With a few crude brush strokes, the on-looker is expected to visualize a picture in which exquisitely fine detail has also suddenly appeared on the canvas, without questioning where it came from! Is the admirer of the work to conclude that these intricacies are somehow a property of the paint pigments? Yet evolutionists must similarly suspend disbelief each time they indulge in these origin scenarios (choosing to overlook the stupendous biochemical complexity that really exists). Unfortunately for them, even to peep beneath the lid of the ‘Black Box’ of the cell is to be confronted with a world of astonishing complexity, the simplest of whose apoptotic molecular machines (proteins)—not to mention their interactions—demands an explanation, yet whose existence is simply ignored.50 To say that the evidence of apoptosis points to the creation of a supremely intelligent God is the most rational—and this author would add, honest—conclusion to which one could come. This is precisely why he argues that his endosymbiont hypothesis helps explain why these cells already have apoptotic capabilities; i.e. apoptosis developed ‘in the very moment’ that endosymbiosis occurred. The protomitochondria are assumed to have been aerobes; as such, it is supposed that their oxidative phosphorylation (using an electron transport chain) would have given them a survival advantage relative to the host cell (discussed below). In contrast, the ‘primitive host cell’ is said to have been anaerobic, this despite the overwhelming evidence for an oxygen-rich atmosphere from the earliest times of Earth history,58,59,60,61,62,63 incorporating the ‘Precambrian era’ during which the putative first eukaryotes arrived on the scene. It is left to the reader to speculate as to where, exactly, endosymbiosis occurred. Figure 3. Schematic depiction of the key elements of the endosymbiosis/apoptosis hypothesis of Blackstone and Green. This is alleged ‘ancient signalling pathway’ is said to be the precursor of apoptosis. (A) A rapidly dividing anaerobic host cell with its newly acquired aerobic endosymbiont— protection from ROS is afforded by the relationship. (B) Under conditions of low metabolic demand, host cell division is much reduced, resulting in the release of ROS and cytochrome c from the protomitochondria. Cytochrome c acts synergistically with ROS formation to produce highly reactive free radicals (the most mutagenic ROS) and a consequent high mutation rate in the host. This, in turn, is assumed to trigger sexual recombination, generating novel host cells. Click for larger image. These protomitochondria achieved this by supposedly using their ATP and ROS to ‘manipulate’ the host! The idea is that the consequent production of ATP satisfies the host cell’s energy requirements, and the host also benefits from the fact that little/no harmful ROS are produced (figure 3A). Thus, the host cells can divide unhindered which also provides more living space for the protomitochondria. Conversely, low rates of host cell division would mean much less demand for ATP and would cause the protomitochondria to enter a sort of ‘resting state’ with oxidative phosphorylation just ticking over. However, the protomitochondria would produce more ROS, causing lots of genetic mutations in the host cells, followed by their sexual recombination (figure 3B). This is another example of evolutionists’ imagining advantageous mutations that protomitochondrial cells is thought to have generated genetically novel hosts that thereby enhance the survival of the protomitochondria! Apoptosis as a vestige of host/endosymbiont conflicts? The over-used term ‘vestige’, by evolutionists, immediately sets the alarm bells ringing.66 However, let us critically examine this idea. In eukaryotic cells, inhibition of the mitochondrial electron transport chain is known to enhance production of harmful ROS (e.g. superoxide and hydrogen peroxide). If cytochrome c is released into the cytoplasm from mitochondria (as occurs in mammalian cells, prior to the caspase activation stage of apoptosis) it catalyses further reactions involving these ROS, forming particularly mutagenic ROS. Therefore, Blackstone and Green surmise that when protomitochondria were stressed they released cytochrome c, thereby enhancing ROS formation, which, in turn, led to the mutation and ‘genetic recombination’ of host cells. They further speculate that this benefited the protomitochondria by creating ‘a less stressful environment’ inside the host! How or why such an outcome logically follows is not explained and is hardly self-evident. No attempt is made to suggest how the DNA instructions for this ‘signalling pathway’ passed from the mitochondrial matrix to the host cell’s genome (in spite of the many obstacles to their doing so), or why this should have occurred. More importantly, although this paper purports to present a hypothesis for the evolution of apoptosis, it is merely stated that this hypothetical metabolic ‘signalling’ between host cell and protomitochondria was possibly ‘co-opted’ as a programme of cell death (Figure 3). Considering the bewildering array of tightly interwoven components that constitute the apoptotic machinery,67 it seems almost farcical to postulate the interplay of these few bio-molecules of protomitochondria and host cell as being the precursor of apoptosis! Incorporating just a few of the components of an irreducibly complex system into the cell would give it no survival benefit. It seems clear that ‘death-programs’ do exist in unicellular organisms, both prokaryotes and eukaryotes, although even evolutionists admit that these pathways show little or no homology with true apoptotic cascades described in multicellular organisms.18 Bacteria are known to be able to take up naked DNA and (if this foreign DNA can be ‘recognized’ by the host cell DNA polymerase enzymes) replicate this together with their own DNA; this is a known mechanism for acquiring antibiotic resistance, for example. Could this possibly explain the origin of apoptotic functionality? The author has been unable to locate any papers where this case is argued but even a ‘basic’ apoptosis-type mechanism (being irreducibly complex70) would involve too many components to make this a plausible idea. The host of apoptotic molecular machines involved in even the simplest eukaryotes (not to mention their pleiotropic interactions) renders any idea of piece-by-piece addition of components by DNA uptake and transformation extremely improbable. Incorporating just a few of the components of an irreducibly complex system into the cell would give it no survival benefit. Rather, it would be less fit because resources would be wasted; natural selection operates to maintain genetic integrity and such transformed cells would likely be ‘weeded out’. In addition, since there would be no selection against mutation in these acquired but unused, apoptosis-component genes, their DNA sequences would almost certainly become scrambled over time. From a creationist perspective, just as apoptosis is known to have numerous roles in multicellular creatures, including humans,71 so the programmed deletion of unicells must be of functional benefit—if not to the unicell itself, then to its surviving clonal siblings. In bacteria at least, since stretches of DNA from damaged cells could conceivably be hazardous (due to uptake and transformation), bacterial demise might better serve the population as a whole; i.e. such altruism by the few, benefits the many by preventing potential genetic conflict between genes in the remaining bacteria. When altruistic behaviour of the minority increases the inclusive fitness of the general population of closely related individuals, this is termed kin selection. Accepting that ‘apoptotic-style’ cell-deletion of unicellular organisms (including eukaryotes) might be an example of kin selection makes perfectly good sense without giving any ground to evolution. An example of natural selection, it may be, but support for the evolution of apoptosis, it certainly is not—rather the implied pre-programming necessary for such ‘apoptotic altruism’ in unicells is compelling evidence for a teleological view of these organisms. It might be argued that the persistence phenomenon in bacteria24 is a form of kin selection in this context, potentially allowing gradually accrued death-program genes (by uptake and transfection) to be passed on to clonal siblings even though the majority of cells die. However, unless these had survival value at every one of the dozens of intermediate steps (towards a fully fledged apoptosis program), maintaining their sequence integrity and place in the genome would be highly implausible for the reasons given at the end of the previous paragraph. 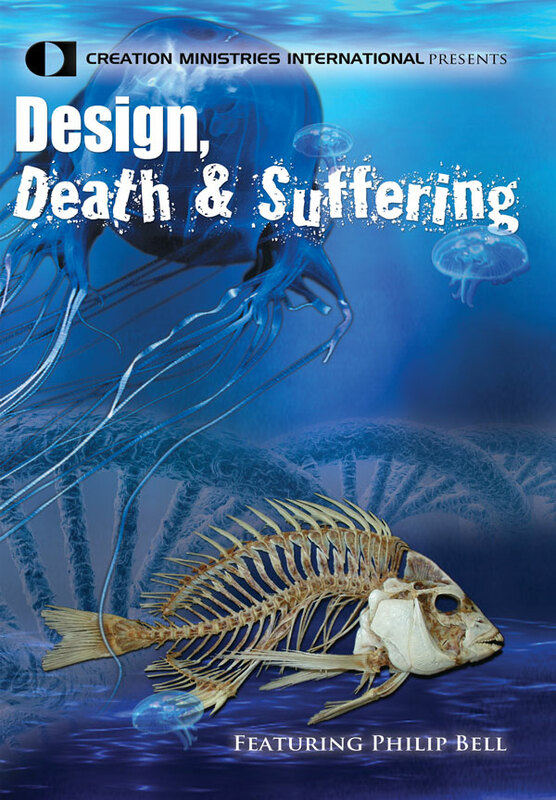 There is even the intriguing possibility that, from a design perspective, God has incorporated carefully regulated ‘death-programs’ into certain unicellular organisms in order to facilitate their symbiosis with the host. For instance, in cultured Fibrobacter succinogenes (bacterial members of the gut flora of ruminant mammals), the lysis rate has been found to be influenced by extracellular sugar concentration.72 When the sugar level is depleted, the bacteria produce an extracellular proteinase enzyme which inactivates autolysins, thereby preventing bacterial death. However, in the presence of high sugar concentration, despite the fact that F. succinogenes exhibit a logarithmic growth rate, many of the ruminal bacteria lyse, akin to apoptosis. While the impact of bacterial lysis in ruminants is not entirely clear, this autolytic regulation (when sugar levels are low) seems to decrease the turnover of stationary cells, increasing the availability of microbial protein in the animal’s lower gut and thus, benefiting the host. This example of symbiosis, involving an ‘apoptosis-style’ response and a switching mechanism to boot, again supports a purposeful design explanation rather than one of random, gradualistic processes. 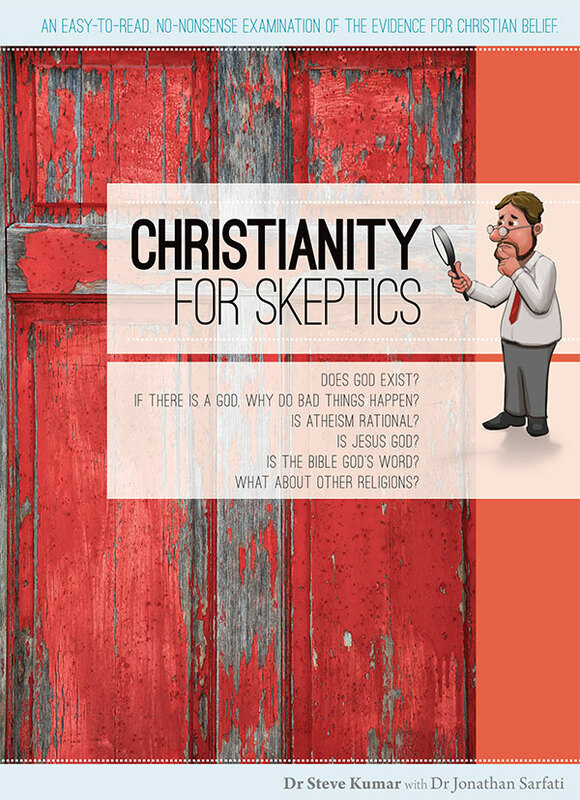 The very existence of apoptosis effectively falsifies evolution. Two hypotheses for the concurrent evolution of apoptosis and endosymbiosis have been critically reviewed and found wanting. In a more recent paper, other evolutionists instead argued that “the endosymbiotic bacterial ancestors of mitochondria are unlikely to have contributed to the recent mitochondrial death machinery … .”18 However, rather than provide a rational alternative, they merely speculate that this complex mitochondrial apoptotic machinery derives from ‘mutated eukaryotic precursors’ for which they admit that there is ‘no direct evidence’! This lack of any direct evidence for either idea leads to the unavoidable—and for the creationist, unsurprising—conclusion that apoptosis evolution is a belief that ignores empirical science. Rather, the challenge of the irreducibly complex nature of the apoptosis machinery still stands in defiance of the keenest attempts of scientists to demonstrate otherwise. The very existence of apoptosis effectively falsifies evolution. I am grateful to my colleague Monty White for reviewing the manuscript and to two anonymous reviewers, whose comments helped to strengthen the arguments presented. I am particularly indebted to one of the reviewers, whose suggestions inspired some of my discussion of unicellular death-programs. apoptosis An active, non-inflammatory process (requiring energy) involving the programmed deletion of scattered cells by fragmentation into membrane-bound bodies which are ingested by other cells. ATP Adenosine triphosphate is the predominant high-energy phosphate compound in all living organisms. It plays a pivotal role in metabolic reactions and is basically the energy currency of cells. cytochrome c An iron-containing protein (with similarities to haemoglobin) that evolutionists consider to be one of the most ancient biological molecules in living organisms. Cytochromes generally, are components of electron transport chains in both mitochondria and chloroplasts. endosymbiosis Refers to the hypothetical origin of the first eukaryote. It is believed that aerobic bacteria and photosynthesising bacteria were taken in by another bacterial cell (becoming the precursors of today’s mitochondria and chloroplasts) and established a mutually beneficial relationship. eukaryote A cell with a true, membrane-bound nucleus and subcellular, membrane-bound organelles. metazoa An old taxonomic word which is still used generically, as in this paper, to describe multi-celled organisms; i.e. as opposed to prokaryotes and unicellular eukaryotes (including yeasts, protozoa and others). mitochondria Organelles, found in all eukaryotic cells, which are the cell’s powerhouses. They are bound by a double membrane, the inner of which is folded into plate-like structures called cristae. Mitochondria house the machinery of the terminal electron transport chain including the cytochrome enzymes. They also contain enzymes involved in oxidative phosphorylation. MPT Acronym for mitochondrial permeability transition (see text for explanation). PCD Programmed cell death; a synonym for apoptosis. phagosome The name given to the membrane that forms around any material that is engulfed by a cell (by a process termed phagocytosis). prokaryote Any cell which does not have the diagnostic features of a eukaryote, principally the bacteria, but also unicellular blue-green algae and other, more obscure unicellular organisms. Instead of a nucleus, there is a circular duplex of DNA. ROS Reactive oxygen species. Also termed reactive oxygen intermediates (ROIs). These are short lived, energetic and potentially toxic; e.g. the superoxide anion, ·O2ˉ, is harmful and tends to generate other ROS. transduction In the context of biochemical pathways involved in cellular apoptosis or differentiation, this means the conversion of a signal from one form into another. Appendix—Cellular fate: apoptosis or necrosis? Is the distinction valid? However, as the article reveals, investigations into necrosis at the molecular level have not revealed any specific genes or gene-products in contrast to what we know of apoptosis.79 The author states that the necrosis-trigger ‘culprits’ are the lysosomes (the oft-described ‘suicide bag’ organelles of the cell) and implies that this fact has emerged recently; rather, this has been known for many years. Nevertheless, new research has revealed that increased levels of Ca2 ions are what cause the lysosomes to release their lethal enzyme cocktail and this obviously calls into question the entirely passive image of necrosis. Necrosis is never a good thing and is a consequence of a fallen world.80 The blurring of apoptosis and necrosis comes from studying the morphology of cell attrition as a result of injurious agents—not present in the once-perfect, pre-Fall world. Did cells acquire organelles such as mitochondria by gobbling up other cells? Pattern of programmed cell death in bat wing membrane—support for evolution? Evolution of multicellularity: what is required? Bell, P.B., Apoptosis: cell death reveals Creation, J. Creation 16(1):90–102, 2002. A corrected version of Figure 1 of this paper is available in ref. 2. Return to text. Bell, P.B., Erratum for Figure 1, J. Creation 16(3):126, 2002. Return to text. Bell, ref. 1, p. 98. Return to text. From the abstract of: Heininger, K., The deprivation syndrome is the driving force of phylogeny, ontogeny and oncogeny, Rev. Neurosci. 12(3):217–287, 2001. Return to text. 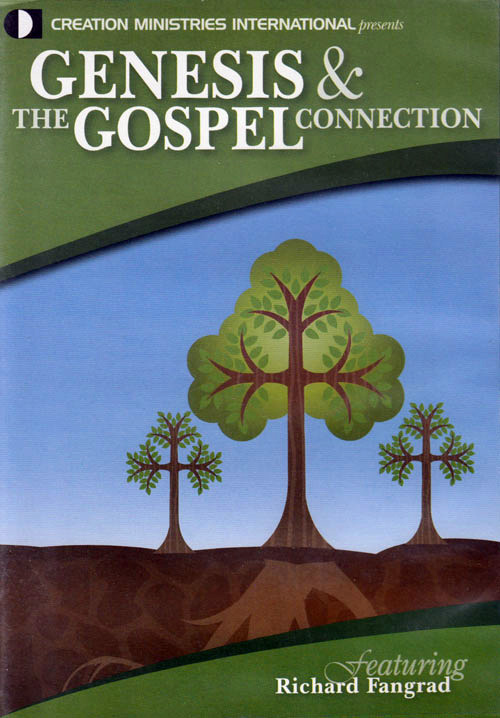 Wells, J., Icons of Evolution, Regenery Publishing, Inc., Washington, p. 63, 2000. Return to text. Kroemer, G., Mitochondrial implication in apoptosis: towards an endosymbiont hypothesis of apoptosis evolution, Cell Death and Differentiation 4:443–456, 1997. Return to text. Blackstone, N.W. and Green, D.R., The evolution of a mechanism of cell suicide, BioEssays 21(1):84–88, 1999. Return to text. Scheuerlein, R., Treml, S., Thar, B., Tirlapur, U.K. and Häder, D.P., Evidence for UV-B-induced DNA degradation in Euglena gracilis mediated by activation of metal-dependent nucleases, J. Photochemistry and Photobioliology B: Biology 31:113–123, 1995. Return to text. Mpoke, S. and Wolfe, J., DNA digestion and chromatin condensation during nuclear death in Tetrahymena, Experimental Cell Research 225:357–365, 1996. Return to text. Welburn, S.C., Dale, C., Ellis, D., Beecroft, R. and Pearson, T.W., Apoptosis in procyclic Trypanosoma brucei rhodesiense in vitro, Cell Death and Differentiation 3:229–236, 1996. Return to text. Ink, B., Zörnig, M., Baum, B., Hajibagheri, N., James, C., Chittenden, T. and Evan G., Human Bak induces cell death in Schizosaccharomyces pombe with morphological changes similar to those with apoptosis in mammalian cells, Molecular and Cellular Biology 17(5):2468–2474, 1997. Return to text. Ridgley, E.L., Xiong, Z. and Ruben, L., Reactive oxygen species activate a Ca2-dependent cell death pathway in the unicellular organism Trypanosoma brucei brucei, Biochem. J. 340:33–40, 1999. Return to text. Fröhlich, K.-U. and Madeo, F., Apoptosis in yeast—a monocellular organism exhibits altruistic behaviour, FEBS Letters, 473(1):6–9, 2000. Return to text. Tatischeff, I., Petit, P.X., Grodet, A., Tissier, J.P., Duband-Goulet, I. and Ameisen, J.C., Inhibition of multicellular development switches cell death of Dictyostelium discoideum towards mammal-like unicellular apoptosis, European J. Cell Biology 80(6):428–441, 2001. Return to text. Arnoult, D., Akarid, K., Grodet, A., Petit, P.X., Estaquier, J. and Ameisen, J.C., On the evolution of programmed cell death: apoptosis of the unicellular eukaryote Leishmania major involves cysteine proteinase activation and mitochondrion permeabilization, Cell Death and Differentiation 9(1):65–81, 2002. Return to text. Chose, O, Noel, C., Gerbod, D., Brenner, C., Viscogliosi, E. and Roseto, A., A form of cell death with some features resembling apoptosis in the amitochondrial unicellular organism Trichomonas vaginalis, Experimental Cell Research 276(1):32–39, 2002. Return to text. Segovia, M., Haramaty, L., Berges, J.A. and Falkowski, P.G., Cell death in the unicellular chlorophyte Dunaliella tertiolecta. A hypothesis on the evolution of apoptosis in higher plants and metazoans, Plant Physiology 132(1):99–105, 2003. Return to text. Huettenbrenner, S., Maier, S., Leisser, C., Polgar, D. Strasser, S., Grusch, M. and Krupitza, G., The evolution of cell death programs as prerequisites of multicellularity, Mutation Research 543(3):235–249, 2003. Return to text. O’Neill, G., Physiological cell death, wehi.edu.au, accessed August, 2003. (Note added 18 June, 2015—now broken; an alternative link cannot now be found). Return to text. Yarmolinsky, M.B., Programmed cell death in bacterial populations, Science 267(5199):836–837, 1995. Return to text. 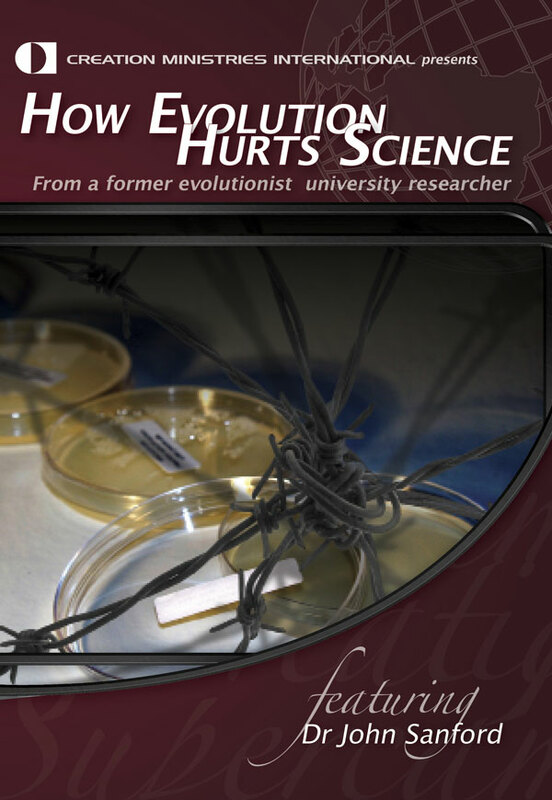 Lewis, K., Programmed death in bacteria, Microbiology and Molecular Biology Reviews 64(3):503–514, 2000. Return to text. Novak, R., Braun, J.S., Charpentier, E. and Tuomanen, E., Penicillin tolerance genes of Streptococcus pneumoniae: the ABCtype manganese permease complex Psa, Molecular Microbiology, 29(5):1285–1296, 1998. Return to text. Novak, R., Henriques, B., Charpentier, E., Normark, S. and Tuomanen, E., Emergence of vancomycin tolerance in Streptococcus pneumoniae, Nature 399(6736):590–593, 1999. Return to text. For instance, in a variety of bacterial species, exposed to a range of different injurious factors, research has revealed what may be termed ‘persistence’. In cases of antibiotic resistance, this phenomenon occurs as follows. A minority of the cell population consists of persistent cells which possess a disabled apoptotic program. Since an antibiotic-induced death-program in the entire bacterial population would obviously be counterproductive, this cell minority persists, even in the presence of high concentrations of the drug, e.g. penicillin. That these rare resistant cells are not genetic mutants is evidenced by the facts that, (a) their growth is still totally sensitive to penicillin, and (b) their progeny are just as sensitive to penicillin-induced lysis as the vast majority of the original bacterial population. A similar phenomenon occurs in stationary phase bacterial cultures, where 99% lysis (‘apoptosis-style’) is commonly observed in the first few days. The remaining bacteria—presumably clonal siblings of the ‘deceased’—survive indefinitely; presumably, this is due, either to a disabled apoptotic program (as in persistence) or to a distinct non-apoptotic program that is activated in this population sub-fraction. Return to text. Margulis, L., Symbiotic theory of the origin of eukaryotic organelles; in: Jenning, D.H. and Leed, D.L. (Eds. ), Symbiosis, Society for Experimental Biology, Symposium 29, Cambridge University Press, Cambridge, pp. 21–38, 1975. Return to text. See, Batten, D., Did cells acquire organelles such as mitochondria by gobbling up other cells? (Or, can the endosymbiont theory explain the origin of eukaryotic cells?). Return to text. 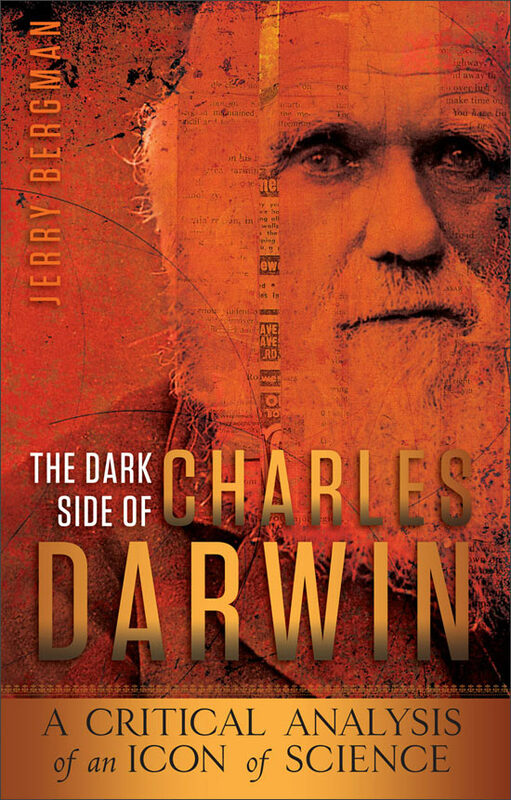 Jerlström, P., Is the evolutionary tree turning into a creationist orchard?J. Creation 14(2):11–13, 2000. The author discusses problems with the endosymbiont hypothesis, some raised by the prominent origin-of-life researcher, W. Ford Doolittle; not to be confused with his namesake, also a well-known origin-of-life researcher and evolutionist, Russell F. Doolittle! Return to text. Tovar, J., Leon-Avila, G., Sanchez, L.B., Sutak, R., Tachezy, J., Van Der Giezen, M., Hernandez, M., Muller, M. and Lucocq, J.M., Mitochondrial remnant organelles of Giardia function in iron-sulphur protein maturation, Nature 426(6963):172–176, 2003. Return to text. See for example: Campbell, N.A., Biology, 4th edition, Benjamin/Cummings Publishing Company, California, p. 520–521, 1996. Return to text. Secko, D., Mitosomes rewrite evolutionary theory, The-Scientist.com, 13 November 2003, biomedcentral.com, accessed December 2003. Return to text. For further details, see: Bell, ref. 1, Table 1, p. 94. Return to text. Zoratti, M. and Szabò, I., The mitochondrial permeability transition, Biochem. Biophys. Acta-Rev. Biomembranes 1241:139–176, 1995. Return to text. Bernardi, P. and Petronilli, V., The permeability transition pore as a mitochondrial calcium release channel; a critical appraisal, J. Bioenerg. Biomembr. 28:129–136, 1996. Return to text. How this occurs is not our concern but see Table 1 of Kroemer’s paper for details of the molecules involved in the pore complex; Kroemer, ref. 6, p. 445. Return to text. These include physiological signal transduction pathways (e.g. ligation of Fas, a well-known ‘death’ receptor) and stress responses (e.g. exposure to cytotoxic drugs). Return to text. Indeed evolutionists conclude that MPT must have arisen at an ‘early’ stage in the origin of unicellular life. Return to text. Bell, ref. 1, p. 91. Return to text. A schematic diagram, showing where AIF and cytochrome c fit, in the context of some of the many other molecules involved in apoptotic cascades, is found at: Bell, ref. 2. Return to text. Susin, S.A., Zamzami, N., Castedo, M., Hirsch, T., Marchetti, P., Macho, A., Daugas, E., Geuskens, M. and Kroemer, G., Bcl-2 inhibits the mitochondrial release of an apoptogenic protease, J. Experimental Medicine 184:1331–1342, 1996. Return to text. Yang, J., Liu, X., Bhalla, K., Kim, C.N., Ibrado, A.M., Cai, J., Peng, T.-I., Jones, D.P. and Wang, X., Prevention of apoptosis by Bcl-2: release of cytochrome c from mitochondria blocked, Science 275:1129–1132, 1997. Return to text. Kluck, R.M., Bossy-Wetzel, E., Green D.R. and Newmeyer, D.D., The release of cytochrome c from mitochondria: a primary site for Bcl-2 regulation of apoptosis, Science 275:1132–1136, 1997. Return to text. Xiang, J., Chao, D.T. and Korsemeyer, S.J., BAX-induced cell death may not require interleukin 1ß-converting enzyme-like proteases, Proc. Natl. Acad. Sci. USA, 93:14559–14563, 1996. Return to text. Kroemer, ref. 6, p. 450. Return to text. This view now appears to be representative of most researchers today. A group of Austrian scientists recently wrote: “Interestingly some unicellular organisms have developed a primitive form of non-necrotic cell death themselves, which could mean that the idea of an altruistic death for the benefit of genetically identical cells predated the origin of multicellularity.” See Huettenbrenner, ref. 18. Return to text. Kroemer, ref. 6, p. 451. Return to text. Kroemer, ref. 6, p. 452. Return to text. Kroemer, ref. 6, figure 5. Return to text. In any case, prokaryotes universally lack lysosomes. Return to text. Behe, M.J., Darwin’s Black Box: The Biochemical Challenge to Evolution, The Free Press, New York, 1996. Return to text. Kroemer, ref. 6, p. 453. Return to text. Blackstone and Green, ref. 7, p. 84. Return to text. Blackstone, N.W., Argumentium AD ignorantiam, Quarterly Review of Biology 72:445–447, 1997. Return to text. Available as a downloadable PDF file, Behe, M.J., Philosophical objections to Intelligent Design: response to critics, Discovery Institute, 31 July, pp. 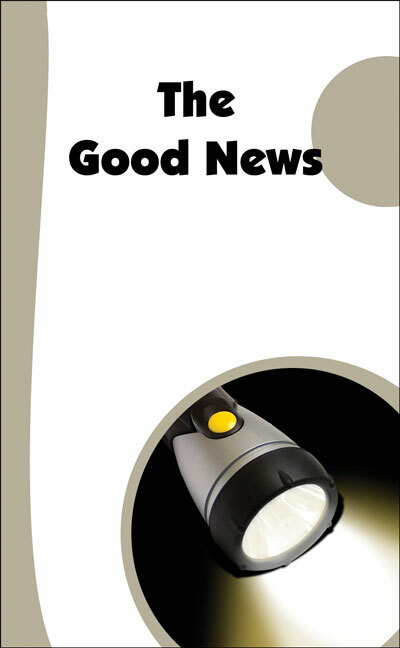 11–12, 2000, www.theapologiaproject.org/Philosophical Objections to ID.pdf. Return to text. Note that the identification of protomitochondria in the plural is the deliberate intention of these authors. If the miracle of the entry and subsequent endosymbiosis of one eubacterium into its incipient eukaryotic host cell was not enough, they envisage “a rapidly dividing host inhabited by a population of protomitochondria” [emphasis mine], ref. 7, p.85. Return to text. Blackstone and Green, ref. 7, p. 85. Return to text. Berkner, L.V. and Marshall, L.C., On the origin and rise of oxygen concentration in the Earth’s atmosphere, J. Atmospheric Sciences 22:225–261, 1965. Return to text. Brinkmann, R.T., Dissociation of water vapor and evolution of oxygen in the terrestrial atmosphere, J. Geophysical Research 74:5355–5368, 1969. Return to text. Towe, K.M., Early Precambrian oxygen: a case against photosynthesis, Nature 274:657–661, 1978. Return to text. Carver, J.H., Prebiotic atmospheric oxygen levels, Nature 292:136–138, 1981. Return to text. Clemmey, H. and Badham, N., Oxygen in the Precambrian atmosphere: an evaluation of the geological evidence, Geology 10:141–146, 1982. Return to text. Kasting, J.F., Earth’s early atmosphere, Science 259:920–926, 1993. Return to text. Any evidence that this has occurred (or indeed can occur) has not been forthcoming, as highlighted by, Spetner, L., Not by Chance! 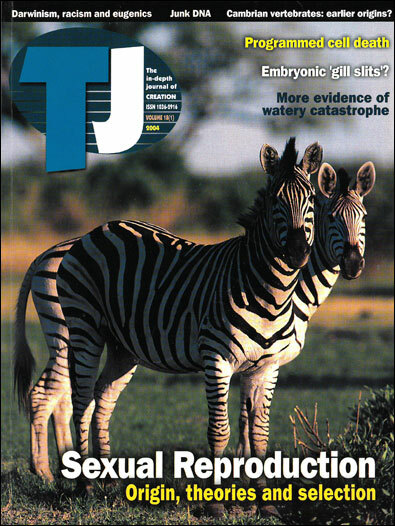 Shattering the Modern Theory of Evolution, The Judaica Press, New York, 1997. Return to text. Blackstone and Green, ref. 7, p. 86. Return to text. The terms, ‘vestige’, ‘vestigial’, ‘useless leftover’, ‘junk’, etc. have often been ascribed to biological entities, of which evolutionists were ignorant. In all cases, further research has revealed their functionality. See for example: Bergman, J., Do any vestigial structures exist in humans?, J. 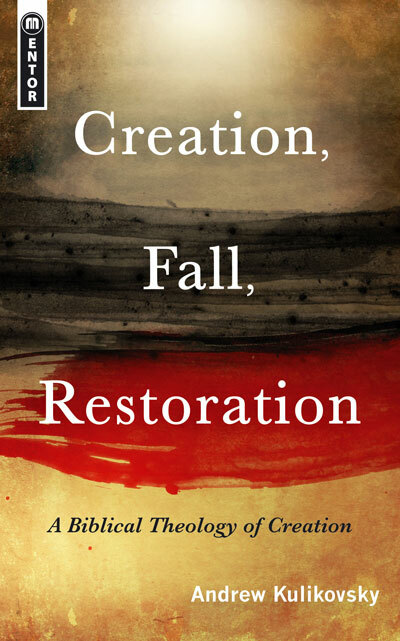 Creation 14(2):95–98, 2000; Walkup, L.K., Junk DNA: evolutionary discards or God’s tools?, J. Creation 14(2):18–30, 2000. Return to text. Some of these are depicted on figure 1 of the earlier paper, see ref. 2. Return to text. Hengartner, M.O., Death cycle and Swiss army knives, Nature 391:441–442, 1998. Return to text. Manon, S., Chaudhuri, B. and Guerin, M., Release of cytochrome c and decrease of cytochrome c oxidase in Bax-expressing yeast cells, and the prevention of these effects by coexpression of Bcl-xL, FEBS Letters 415:29–32, 1997. Return to text. This is a major argument in Bell, ref. 1. Return to text. Bell, ref. 1, p. 93–96. Return to text. Wells, J.E. and Russell, J.B., Why do many ruminal bacteria die and lyse so quickly? J. Dairy Science 79(8):1487–1495, 1996. Return to text. Psalm 104:24a, New King James version. Return to text. See discussion on p. 150 and Figure 1 of, Bosanquet, A.G. and Bell, P.B., Enhanced ex vivo drug sensitivity testing of chronic lymphocytic leukaemia using refined DiSC assay methodology, Leukaemia Research 20(2):143–153, 1996. Return to text. Tavernarakis, N., Death by misadventure, New Scientist, pp. 3033, 15 February 2003. Return to text. This is dealt with in detail in ref. 1. Return to text. See discussion of this in ref. 1, p. 93. Return to text.